Indian Food Rocks: Happy New Year! I vote for the first picture - just to make things difficult! The first is my favorite. 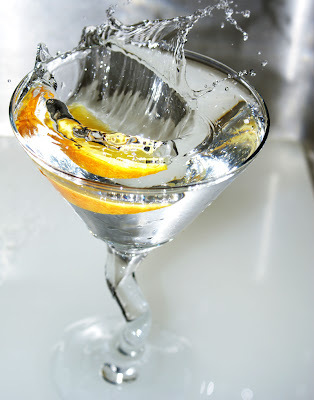 A tsunami in a martini glass. Gorgeous! First one, yes. But I love what you've done with the green one. Happy New Year to you too, Manisha! Err...difficult choice...you decide, baba. But I like the acid stuff you do with these pictures - I am totally smitten with that effect. the last one is definitely the best though. lovely effect! Nice shots, will sure vte for ya. I love the first one, so much excitement with all the movement of the drink. Nupur said it perfectly "tsunami in a glass"! Hi Manisha, HNY! My choice is 1st pic,the effect has been beautifully captured!Brilliant pics!!! Happy new year and I am stunned at the photos dear, First one is definitely a WINNER!! and so are the others. Happy New Year Manisha, I like the second photo best. all pictures are awesome , but my choice is clearly the third one, it has the effectes captured perfectly. A very happy new year to u!! I like the first one by the way! !how did u click it? Happy New Year Manisha :) I like the third one too, gorgeous! Sorry, can't pick a favorite, I like them all. With these gorgeous pictures, you have pretty much edged out all the competition!! Thank you all so much for letting me know what you think. I really really appreciate it! It's pretty much turned out the way I thought it might - an overhwleming preference for #1. 10 definite votes so far! AJ, go on then! Mix yourself one! Stella, trust you to want to do that to me! But it looks like most folks are with you! Nupur, a tsunami in a martini glass is sooo creative! Thank you! Do you mind if I use that for the title of that pic? Pel, I knew you would appreciate the green one! Anita, it's a Photoshop action. Once I have submitted the pic for Click, I will post a write-up on Inner Lens. People usually do this with a lot of equipment and off-camera flashes and strobes, none of which I have. I'm putting you down for #1 based on our chat. Nags and Lata, two more votes for the second one! Thank you! Grihini, thank you! But remember that there will be a lot of other entries by the deadline of Jan 20, many of which will be really fabulous. Lee, Happy New Year to you, too! I have missed you! Purnima, thanks! It has inspired me to try some other tricks now that I think I know how to do this! Padmaja, glad you liked them! Pooja, we have the same choice! Thank you! Mallugirl, thanks! High-speed flash photography. I should have a write-up on it by this weekend. Mandira, thanks! Yay! Nice to know that you share my taste! Mythili, own up! It's only cos you want 3 Martinis! ET, kya yaar?! You're supposed to say which one! And I am sure you will see very creative pictures when the entries start rolling in. My husband thinks the third one is 'unnatural'. Bah! Medha likes the third one today. Yesterday she preferred the first one! I'm for number 3. 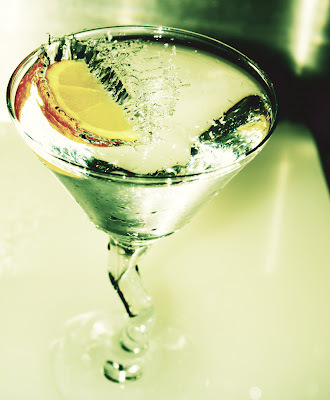 Manisha, let me buy you a martini! Hey Manisha..I think the first pic is very nice..Sure looks like a tsunami in there :)..Happy new year to u..
now that you've made your choice, i can tell yo that love #1 and #3. now tell us how you took them. the first is my fav..
Aaaaaamazing, Manisha. How did you do it? Linda, TC, Maya and Shankari, thanks! Looks like you agree with most of the others! John, you picked my fave! And you can buy me a martini any time! I love the less sweet, more tart and potent ones! Yum! Suganya and Clicking Bee, by this weekend! Manisha, Wishing you and your family a really happy and prosperous new year!! !I love the first photo...its so refreshing....I want to have Nimbu pani!!! Found your blog by accident, while clicking through the maze of network of co-bloggers.I like the picture of the new year celebrations. My vote is for 1st one ,lovely. love 2 and 3 one also . Sensational. I vote for #1. I see your love and attraction for the 3rd one and I share it but, I think for the event it may be better to send in the first one. A happy new year to you and the family! Wow! Your blog really rocks - glad to have found ...love these drink photos ... Happy New Year! WOW! is the word for ur entry. Superb! You should be the winner this time!lovely!Chance-less photography!!! Beautiful pictures Manisha! Wow u guys are all good photographers! Hard to pick the best! A very happy and prosperous new year to you guys! GREAT, great photo! I am so impressed! Hey Manisha...The first one rocks...you've gotta sure winner! All the pics are simple amazing...CLAP CLAP!! awesome job IFR. I like all of them Its really difficlut to pick:). How did you time it. Tech details pls camera details and settings. i wish i would be able to take a shot like that! you make me realize i must learn more about photography. i adore your photo here. that's the kind of work i'd love to do. wow Manisha!! you are SO WINNING click even this month!! how did you take that pic girl??!!! Wish you a fabulous 2008! Lovely pictures them! And a lovely blog too!! A post with more details is long overdue and I am sorry I haven't been able to get to it. I have been consumed with mundane things like getting a new roof. Yah! The joys of being a homeowner! I will get to it soon! Sanjana, go ahead and make yourself some! And think of me when you guzzle it down! Anamika, thanks and welcome once again! Rachel, thanks and I will get to it soon, I hope! Jaya, thanks and Happy new year to you, too! Susan from Food Blogga, #1 it is! Thanks! Cynthia, yes and that is what I sent in. I printed out the green one as a poster and it's looking really good on the wall! Maryann, thanks and welcome to IFR! Mango Power Girl, likewise! Oh, and I love mangoes, too! Welcome! Sia, thanks! Looking forward to seeing yours, too! RAKS KITCHEN, Mansi Desai and Passionate baker...& beyond, thanks! I'd love to win. My head can do with growing a little bigger. ;-) Seriously though, it's more about participating than winning. And there already some very beautiful entries. Latha, thanks! The event is a lot of fun! Happy cook, thanks! Happy new year to you, too! Katy, thanks! I loved your wine shot, too! The bokeh is excellent! Ra, definitely not rocket science. And really easy when compared to sky-diving! ;-) It's just a question of getting the lighting set up and then a matter of timing. Will post soon! Camera is Sony A100. Arfi Binsted, it's not difficult. Hop onto Flickr, there are a ton of groups that discuss lighting, techniques and some even give out weekly assignments. I wish you all the best! Reeta Skeeter, thanks and same to you! Manisha, though late, Happy new year to you... I loved your pictures... FIrst one the best. I wish you get the prize,, U deserve it. wonderfull picture..really you are rocking. 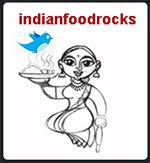 Not only the Indian food but also the CLICK R-O-C-K-S :)!!! Thank you all very much! I posted details on what I did on My Inner Lens. Great blog, Can u pls explain how u did martini in the first picture?